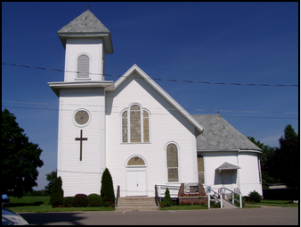 Bancroft United Methodist Church is a caring church in the small town of Bancroft, Michigan. Our worship style is "warm and friendly" - dress is casual, laughter is encouraged. The Worship area is handicapped-accessible and air-conditioned. A cry room is available, and children are welcome! We worship on Sunday at 9 A.M.
Children's Sunday School during worship.